On a very brief trip to L.A. I got to see what it’s like on the front lines. 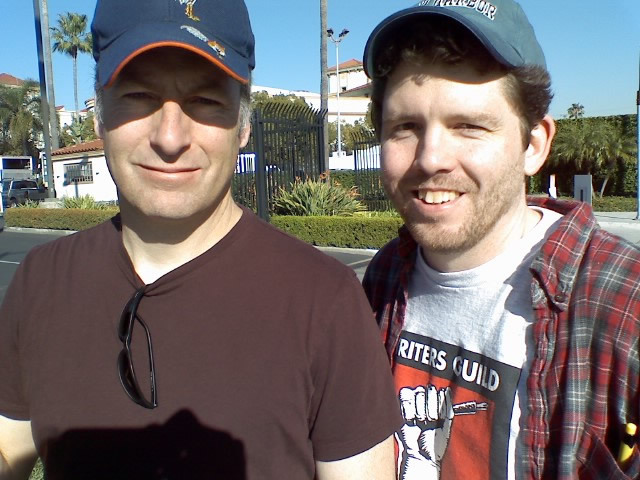 I met Bob Odenkirk on a picket at Paramount Thursday. There were only about 4 people at the Bronson gate so I got to bask in his funny for awhile. 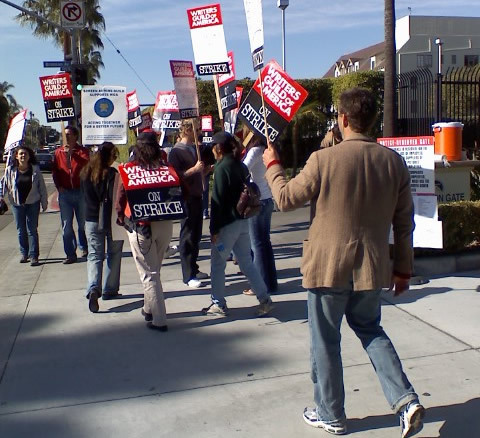 We talked about the strike and his kids, but mostly we talked about autism. The son of a friend of his has autism and Bob was very knowledgeable about the boy’s condition, regression and treatments. He almost sounded like an Autism dad, himself. What a great friend he is to that Autism dad and his son. God bless you Bob Odenkirk.